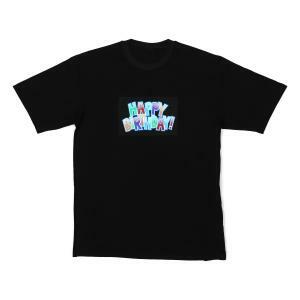 Hip Resident DJ LED T-Shirt with a super bright LED light effect that's guaranteed to make you party. Especially in clubs, where it's usually quite dark, the LED motif is an absolute highlight. Astonished faces and eyes are guaranteed to look your way. 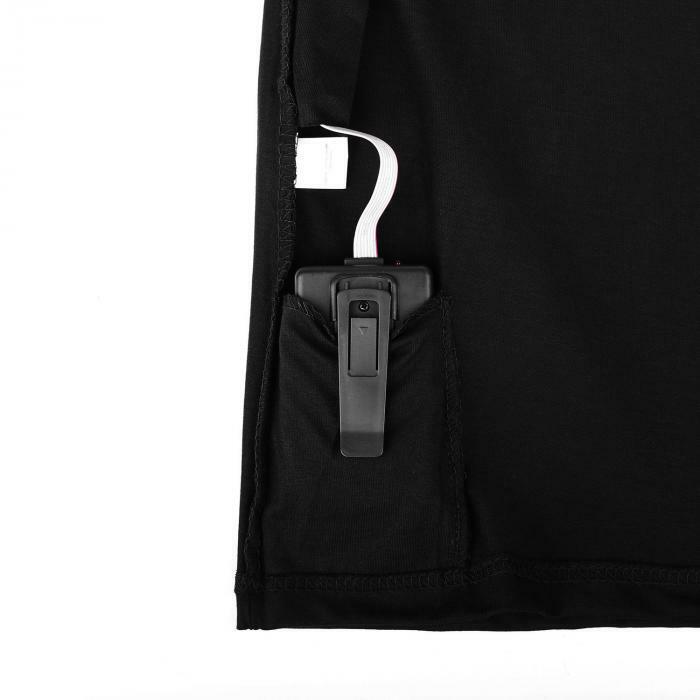 An easy-to-use control panel allows you to keep your LED T-Shirt under control at any time. Connected via fiber cable to a battery unit, the LED-studded front patch lights up in conjunction with an integrated microphone which responds to the surrounding ambient noise. This allows the LED light - depending on your mood - to be activated or deactivated with an on/off switch. 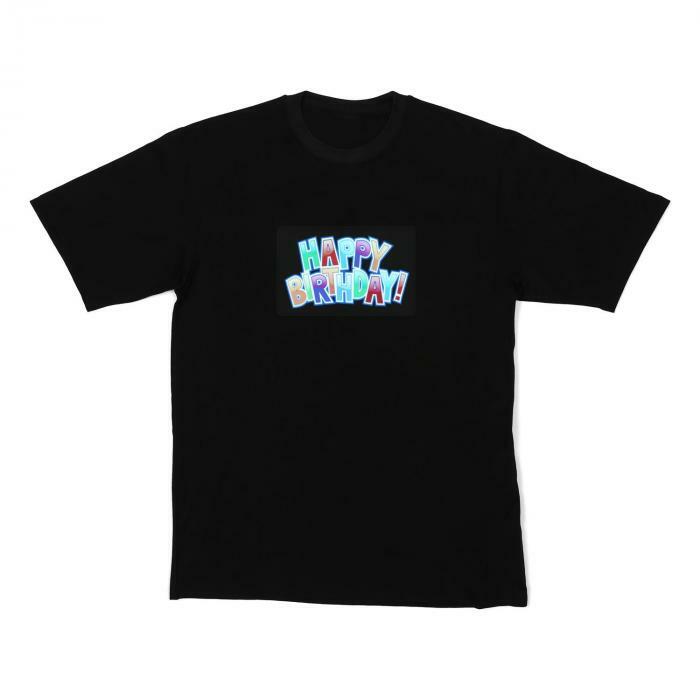 The microphone intensity can be quickly adjusted to the ambient noise levels using a rotary control, so that the T-shirt can light up the party of the future or even a more low key affair. Represent. 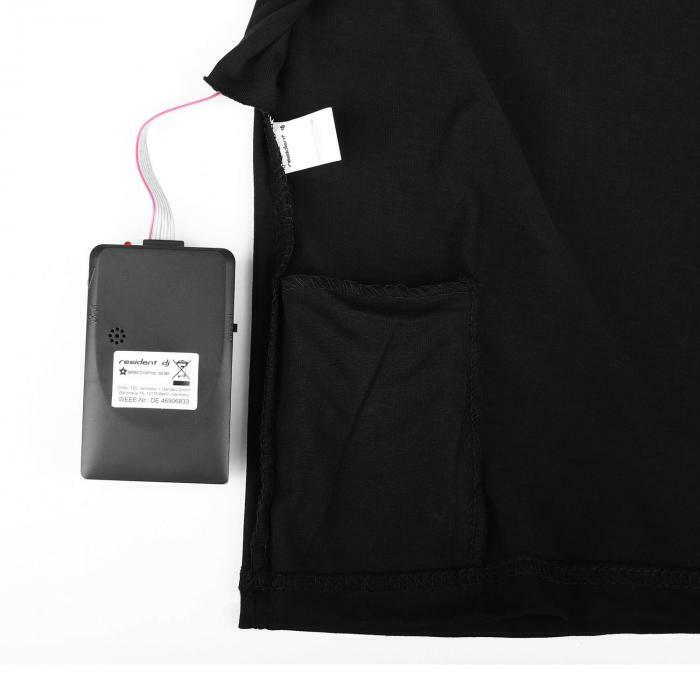 The Control Panel can be easily and invisibly installed and hidden in an inside pocket, so that the functionality of your LED Shirt remains a mystery. 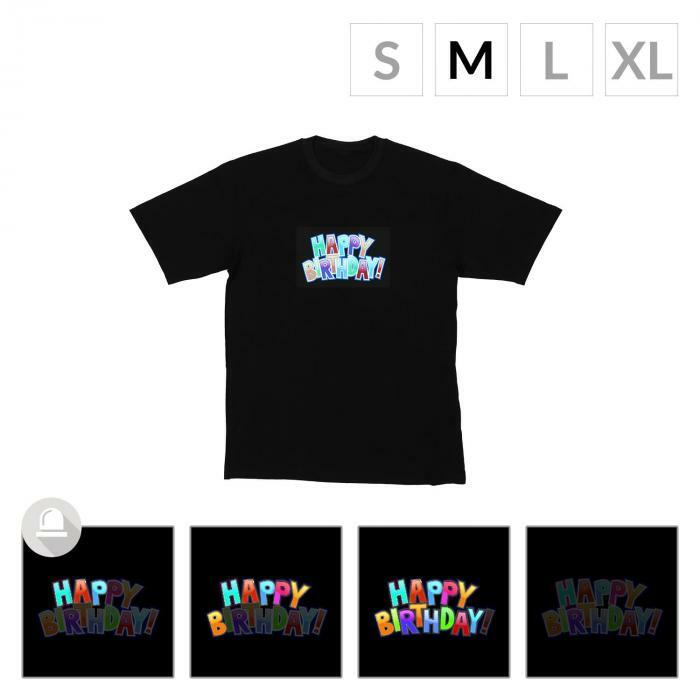 Since nights and parties are ever changing, the LED design can be changed easily too. Just take off the old motif and add on the new. 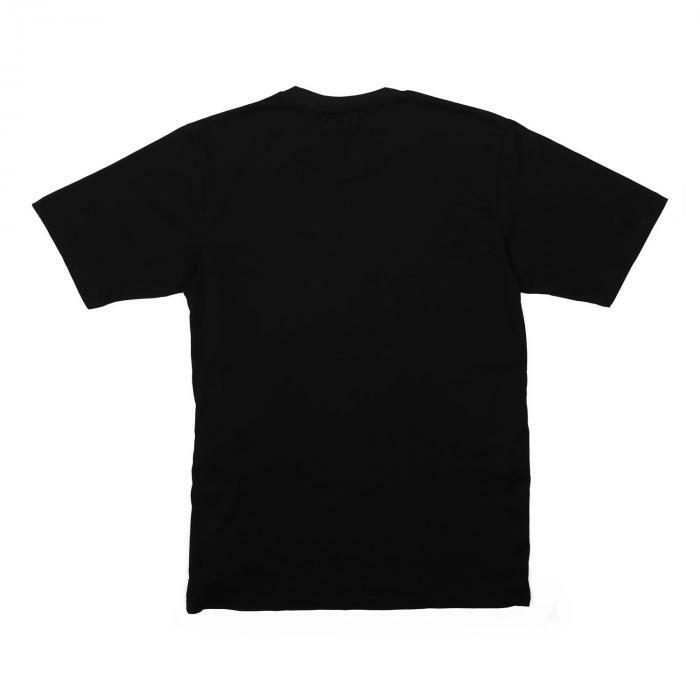 Thanks to the changeable design, this LED T-shirt can be your second, third and fourth favorite T-shirts at the same time! Please note that the item is not accompanied by operating instructions.